Book your winter trip to Morzine now! Explore the magnificent terrain of Morzine-Avoriaz, whether its the rapturous excitement of carving the perfect pow line in winter, or the sheer exhilaration of dropping through tight tree runs on Pleney B in Summer. 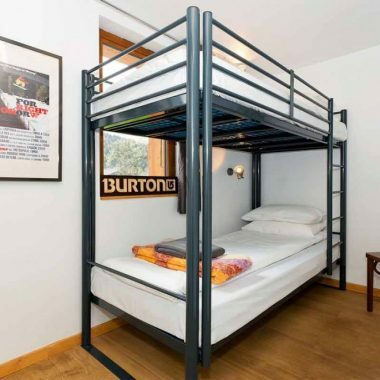 Hideout’s central location in Morzine makes it perfect for those who want to be in the heart of the action, just 50 metres from the restaurants, shops and bars. Welcome to Morzine and the Hideout Hostel. 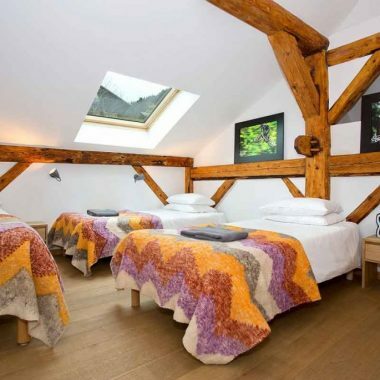 Stylish yet affordable winter and summer mountain accommodation from just €30 a night B&B. 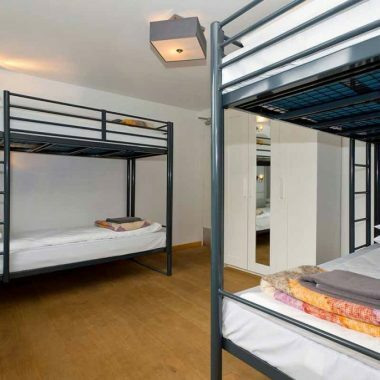 With a choice of double, triple or dorm rooms, we can cater for any group of guests. Relax and unwind in our Hideout bar after a long day on the mountain. Grab some great food and meet new people, or hit the town with our Hideout app. 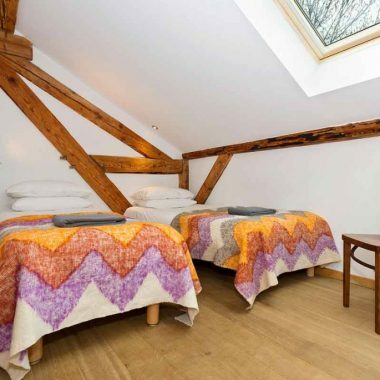 Affordable yet stylish, functional en-suite rooms, in the heart of Morzine. Choose from twin, double or triple rooms, or if you are on a budget, we also have mixed, shared 6 or 4 bed dormitory rooms. Every room features comfortable beds (linen and towels included), en-suite bathrooms, and a continental breakfast. Check out this winters prices here, or email us for a quote, or book online now. Welcome to the Hideout Bar. A chilled place to relax and unwind after a hard day on the mountain. We serve beer, wine, cocktails, spirits, tea and coffee, our staff cant wait to find out how your day went, bike, hike or snow! Open from 4pm for good vibes, good drinks and food from our fantastic kitchen. At Hideout we just don’t offer you affordable accommodation, we believe in making you really feel like part of the local community during your stay. That’s why we offer all guests Seasonaire discount in all our affiliated bars, clubs and restaurants. Morzine has one of the largest seasonnaire communities in Europe, they are the life and soul of our little mountain town. Don’t worry the locals don’t bite! Use our Hideout app to get special discounts in all the local hangouts like Cafe Chaud and Paradis, we have even got you discounts in the local shops! So after a big day shredding the Gnar you can get out there and enjoy Morzine’s rather fantastic night life!